Description: When hikers think of Mount Rogers N.R.A. images of vast balds with sweeping views, rocky Wilburn Ridge, Grayson Highlands, fields and tunnels of blooming Catawba Rhododendron, wild ponies and pretty streams like Wilson Creek fill their heads. And so it should be. 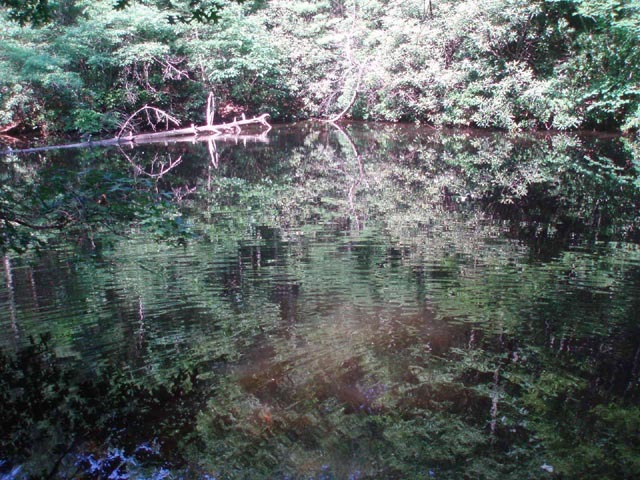 It is considered by many Mid-Atlantic hikers to be a lifetime goal. I know it was for me. But there is so much more to be enjoyed after exploring this relatively small parcel of the N.R.A. 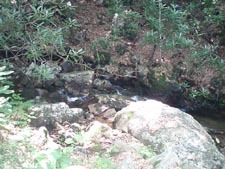 After trekking through what has often become a “Hiker’s Highway” consider exploring the areas directly to the north and west, places with names like Iron, Straight and Hurricane Mountain, Rowland and Comers Creek with their waterfalls and cascades, Chestnut Flats and the many gaps in between all of them. 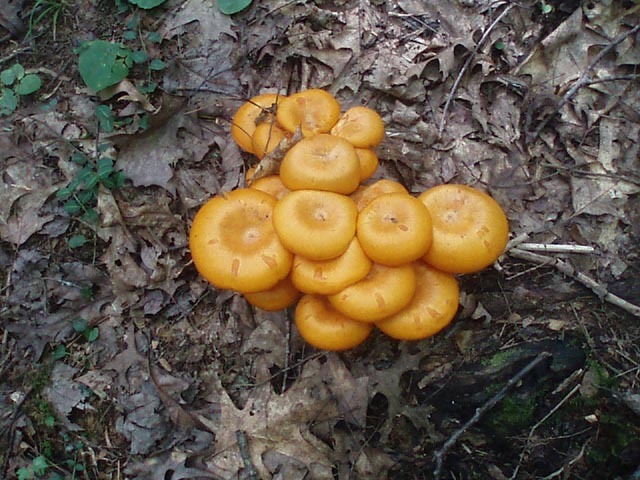 Described here is a strenuous 13.8 mile hike with 3000 feet of elevation gain. 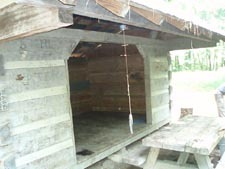 There are two shelters and several campsites along the route that make this one a good candidate for an overnight backpacking trip. 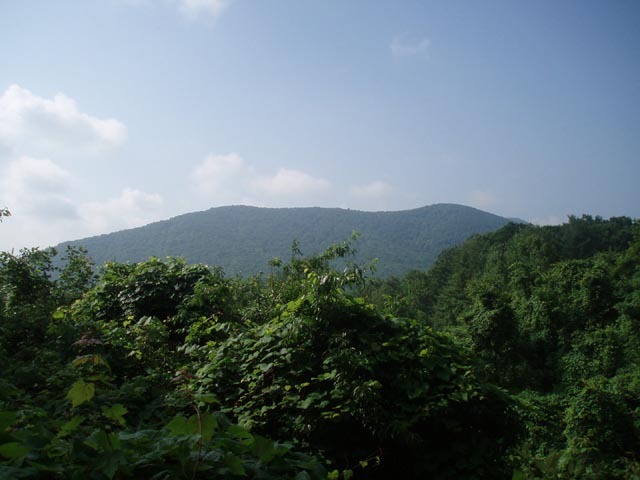 It features views of Mount Rogers, White Top, distant ridges in Tennessee and North Carolina if the conditions are right, pretty streams and well maintained trails. 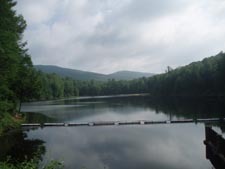 The trailhead is in the Beartree Lake Recreation Area. After turning onto the entrance road make the first right you come to and park in the fisherman’s access lot. Trail Notes: Take the paved trail to the left of the kiosk. Soon turn right and cross the dam of Beartree Lake and then turn right onto the purple blazed Beartree Gap trail. In 0.16 miles cross Rt 58. 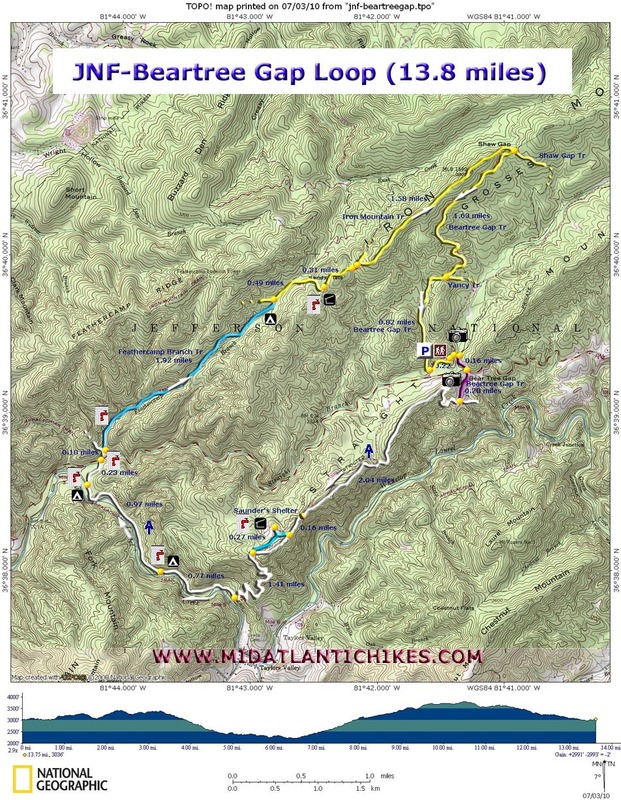 Watch for views to the left as you join the AT in another 0.28 miles. Turn right. Initially the tread is on an old RR grade but soon switchbacks up to the Straight Mountain ridgeline. The trail will dip down slightly before switchbacking again to stay on top of the ridge. At 2.04 miles after joining the AT merge onto an old service road but just for a few steps before bearing to the left on another footpath. In another 0.16 miles it’s time for a break. 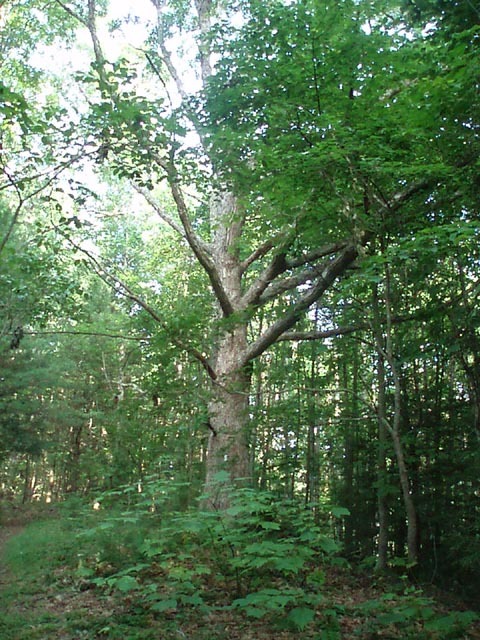 Turn right onto a blue blazed spur trail that leads to Saunders Shelter w/spring. After a refreshing break return to the AT using the right fork of the spur trail. Almost immediately begin what seems to be a never ending series of switchbacks (we couldn’t fit them all on the map!). At 1.41 miles from returning to the AT a spur trail leading to White Top laurel Creek continues straight ahead. Turn right to stay on the AT and side-hill high above the creek for 0.77 miles to the first of two camps along this section. The other is 0.97 miles further. In 0.23 miles cross Straight Branch on a bridge and then Rt 58. Cross Feathercamp Branch on a bridge. The AT goes off to the left up a set of steps. Stay straight on the blue blazed Feathercamp Branch Trail. Cross the stream eight times over the first 0.5 miles and begin a 1500 foot roller coaster climb over the next three miles. 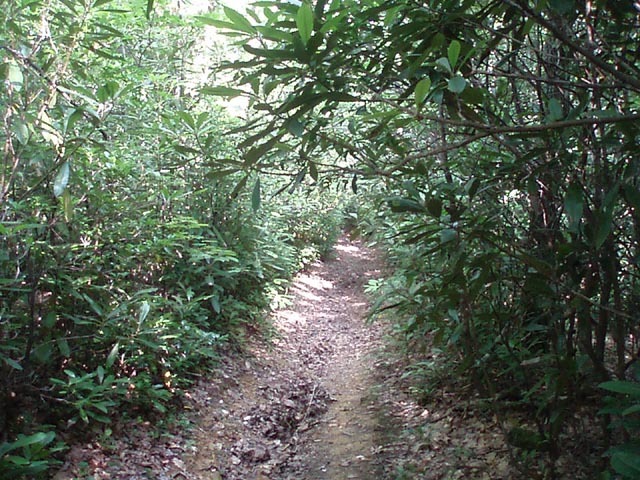 Enter a clearing near the top end of the trail which has previously been used as a campsite. On the other side join an old road. 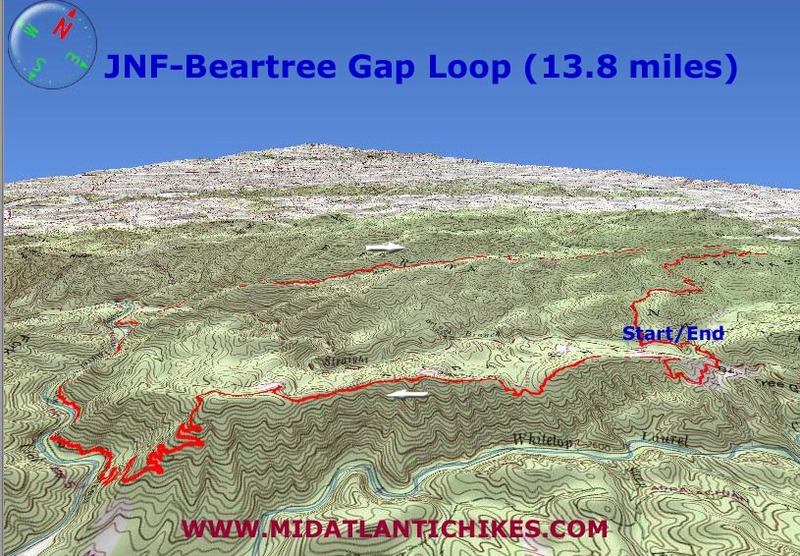 In 1.92 miles from joining this trail leave it, bearing right onto the yellow blazed Iron Mountain Trail. In 0.49 miles reach the Sandy Flats shelter and its spring. Another good break spot. In 0.31 miles cross a gravel forest road and in about 200 feet bear right at a trail junction to stay on the Iron Mountain Trail. 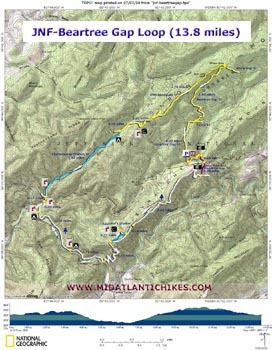 The next 1.58 miles is a pleasant ridge walk as you continue to climb ever so slightly before descending into Shaw Gap. Turn right onto the same Beartree Gap Trail you hiked earlier (an old haul road. Here it is blazed yellow instead of purple. 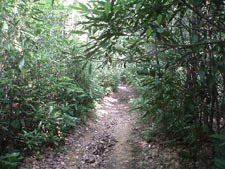 Almost immediately pass the Shaw Gap Trail on the left and then the Yancy Trail, also on the left, in another 1.63 miles. As the trail starts to flatten out you will find yourself hiking through wonderful tunnels of Rhodos and Hemlock. 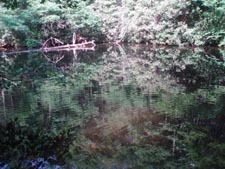 Keep an eye out to the left for a nice wildlife pond. 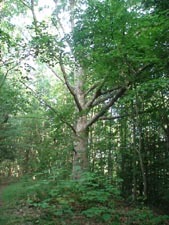 In 0.82 miles from the Yancy Trail cross Straight Branch on a bridge and arrive at the Recreation Area entrance road. Turn left and walk a few steps before turning right onto the continuation of the trail. In 0.22 miles return to the parking lot.